Canadian history is nothing if not complicated. My home province has been called Nouvelle-France (at least, parts of it were), Upper Canada, and Canada-West before becoming Ontario or "the reason Canadians say 'sorry' so much". Our history is also more interesting than most people think. For example, back in 1855, a company of Toronto firemen got into a fight with a company of circus performers for the right to avail themselves of the opportunity to employ a brothel's services for the night. Long before former mayor Mel Lastman's head-scratching pronouncements, before the late Rob Ford's antics, there were shenanigans afoot in "the six". Canadian whisky suffers from the same distorted perception. People think it's uninteresting: it's too simple. It's too bland. It's too Canadian. But our resident whisky expert, Davin de Kergommeaux, is on a mission to change those perceptions. 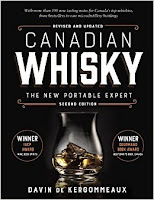 His recently released Canadian Whisky: the New Portable Expert is a guided tour through the history of Canadian Whisky that touches on landmark moments of Canadian history itself. According to the author, the book "is not intended to set the 'official record' straight; however, it does challenge many dearly held beliefs." Really? A whole book about Canadian whisky? Yes. A whole book indeed. M. de Kergommeaux isn't content with putting out a book comprised of naught but tasting notes and distillery details. Not that there's anything wrong with that. If you don't know who Davin de Kergommeaux is, do yourself a favour and head over to www.canadianwhisky.org and have a look around. Go ahead, I'll wait. I won't go anywhere until you get back, I promise. There, how was that? There's a lot of information isn't there? That is Davin de Kergommeaux's website. This book dissects the entire process of whisky-making, from grain to glass, and the contribution of each component is given a full and thorough examination. The author discusses corn, rye, wheat, and barley varieties as well as their contributions to Canadian whisky's flavour. He discusses water sources. He describes the preparation of the wood staves used in cask-making, the charring of the casks (or barrels, if you prefer), as well as the development of organic compounds in the wood and their importance to the whisky's final flavour. 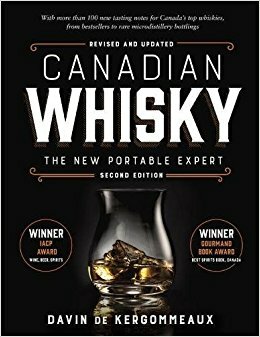 The New Portable Expert dispells some pervasive myths about Canadian whisky. De Kergommeaux is the first author I've encountered who discusses the oft-overlooked importance of yeast strains and their contribution to a whisky's final flavour. There is a full exposition on the types of stills and how they contribute to the character of the final spirit. No stone is left unturned in this tome. But it's Canadian whisky. How interesting could it be? A heck of a lot more interesting than many people think. Whisky experts' views of Canadian whisky are changing. Canadian whisky is experiencing unprecedented growth, especially in the premium category. Our standard mixers like Wiser's Deluxe, Canadian Club and Crown Royal have been huge international sellers for a very long time, and for good reason. 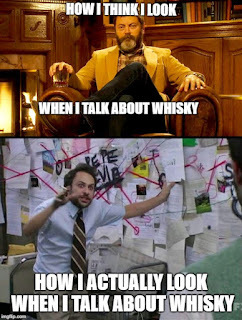 But the recent international success of whiskies like Crown Royal Northern Harvest Rye, WhistlePig (an American company that sourced Canadian rye from Alberta Distillers to start up their company) and Lot No.40 Rye has people all over the world re-evaluating our whisky's place on the top shelf. Canadian distillers are affirming themselves as producers of fine sipping whiskies, thank you very much. Our distilleries still produce the best whiskies for your backyard party and your wedding reception's mixing needs, but they're just as capable of producing whiskies to be pondered over as you smoke a pipe in your study whislt sitting in a leather armchair, reading Proust. Now THAT looks like enjoyable work ! Yet many other books discuss grains, water, wood, fermentation and distillation. What Davin de Kergommeaux has provided his readers with is something more important. The most important ingredient in whisky, according to the author "is not the water, nor is it the grain. No - the most important ingredient is the story." And what a story The New Portable Expert tells! Davin de Kergommeaux goes further than simple tasting notes and overviews by providing his readers with the stories of those who made Canadian whisky what it is today. You'll find biographies of pioneers and innovators like John Philip Wiser, Henry Corby, Hiram Walker, Sam Bronfman, John K. Hall and others. Not content to simply talk about the spirit (forgive the split infinitive) de Kergommeaux includes histories of the distilleries themselves as well. Canadian Club and Wiser's Deluxe might divide folks when it comes to deciding which makes a better rye and ginger, but they're made in the same facility. It wasn't always so. Corby, Wiser's, Gooderham & Worts and Hiram Walker all started as separate brands with separate distilleries, yet they now share a large, multipurpose distillery in Windsor, Ontario. It may seem complicated, but our author's knowledge is sharp enough to cut this Gordian knot. In this book, Davin de Kergommeaux sets out to tell the story of Canadian whisky. He tells us that our whisky, much like the history of our country (the European perspective of it), is "a story of Canadians finding creative ways to adapt largely European practices to a new and often hostile environment". And much like our country's history, our whisky history is not without its problems and ugly moments. The New Portable Expert deftly weaves these varied legacies and notable episodes into a larger, cohesive narrative that is ultimately triumphant. You don't have to be a whisky enthusiast to enjoy this book. Its presence would be just as welcome in an historian's library as it would be in a home bar. It is well-researched and well-written, yet it remains accessible to the general reader. I cannot praise this book enough. 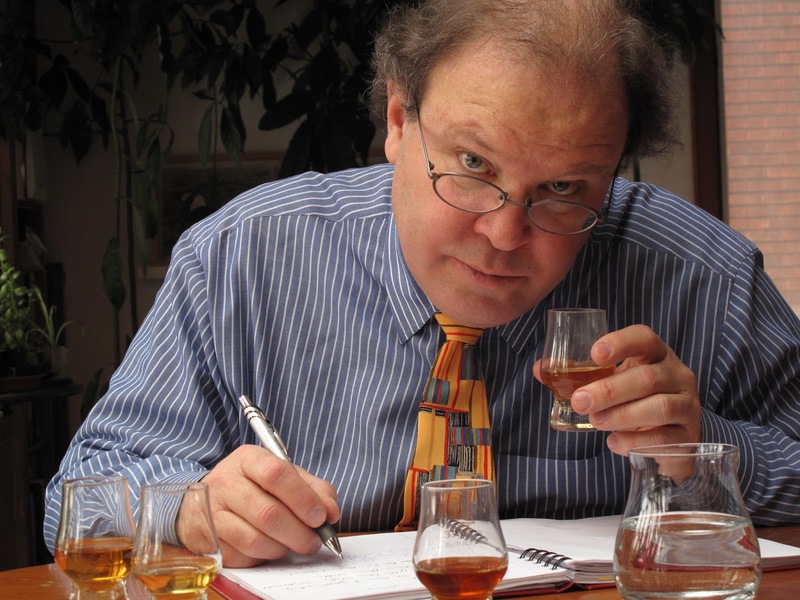 Davin de Kergommeaux has given this country's whisky industry a true magnum opus in 300 pages. Very highly recommended.